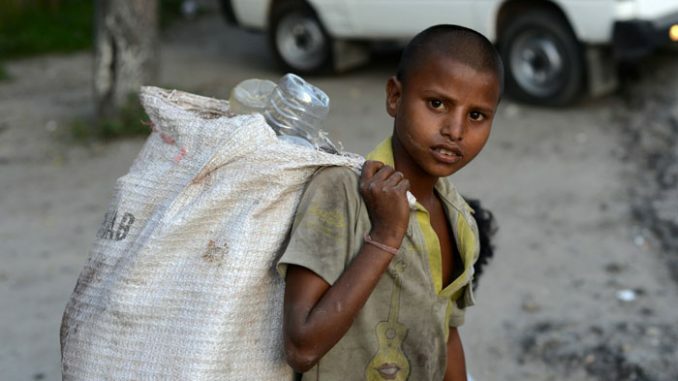 NEW DELHI : (Thomson Reuters Foundation) – India’s government launched an online portal on Tuesday to register, rescue and rehabilitate child workers, as part of a drive to curb the exploitation of millions of minors. India’s 2011 census found over 4 million laborers aged between five and 14, out of 168 million globally, but campaigners say millions more are at risk due to poverty. The portal – Platform for Effective Enforcement for No Child Labor, or PENCIL – aims to bring together officials, charities and police at federal, state and district level to share information and coordinate on child labor cases. “The PENCIL portal brings together stakeholders at all levels so that anyone anywhere can register a case of child labor and that an investigation can happen quickly,” India’s home minister Rajnath Singh said at its launch. Since taking office in 2014, Prime Minister Narendra Modi’s government has introduced several measures aimed at eradicating child labor by 2025. The portal – which includes a child tracking system, complaints corner and standard operating procedures for officials, police and charities – aims to boost weak enforcement of child labor prohibition laws. Districts will be expected to designate an official to investigate child labor complaints registered on the site within 48 hours and, together with local police, rescue the children, a labor ministry statement said. The portal will also track support given to victims, such as enrollment in school or vocational training, to ensure the child is not forced back into work. An economic boom of the last two decades has lifted millions in India out of poverty, yet it is home to almost a third of the world’s 385 million poorest children, according to the World Bank and the United Nations children’s agency (UNICEF). They make easy prey for traffickers, fed promises of work and a better life but often ending up in forced labor. More than half of India’s child workers are employed in agriculture and more than a quarter in manufacturing – embroidering clothes, weaving carpets or making match sticks. Children also work in restaurants and hotels and as domestic workers. Many girls are sold to brothels for sexual slavery.